K-cup is an excellent option for weak coffee which is available in offices today. If you are a salve to a cup of coffee, these coffee pods might be the best option for you. The only problem is that every place is not equipped with the Keurig machine which is required to make such coffee. If you work in a space where such device is not available, then this article is just right for you. Can you use k cups without a machine? After doing much research on K-cup coffee pods, the one query which popped in every place was “Can you use k cups without a machine”? Yes, few easy hacks will help you enjoy a good cup of coffee without operating a device. Below are the two methods to make k cup without a coffee machine. How to Use K Cups without a Keurig with Tea Bag Style Method? Step-1: Open the K-cup and pour the ingredients into the filter. If you don’t have one, you can go for a clean paper towel. You can always use more than two type of k-cups two make a stronger coffee. Step-2: Bunch the upper part of the coffee filter or paper towel so that the coffee powder doesn’t spill outside. Tie the knot using clean string and leave the remaining line so that it hangs out of the cup. Don’t tie the knot too tight as you want some space for ground coffee to mix with water. Step-3: Add hot water (hotter the better) in the cup and dangle the bag using the string. You can gently stir the using spoon for faster result. Do this for 3 to 5 minutes, remove the coffee filter and add then add milk/creamer or additives to adjust the taste of coffee. How to Use K Cup Without Machine Using Pour Over Style? Milk or creamer or any other additive to enhance the taste. Take a bunch of 3 to 4 paper towels and slightly wet then. Make sure they are not dripping wet. Put in on top of the cup in such a way that the paper is somewhat hollow inside the container. Tie the towel using an elastic band. Now, open the k-cup and empty the grounds on the wet paper towel. Slowly pour the hot water on the bases to start the brewing process. Repeat till you have desired quantity of coffee. 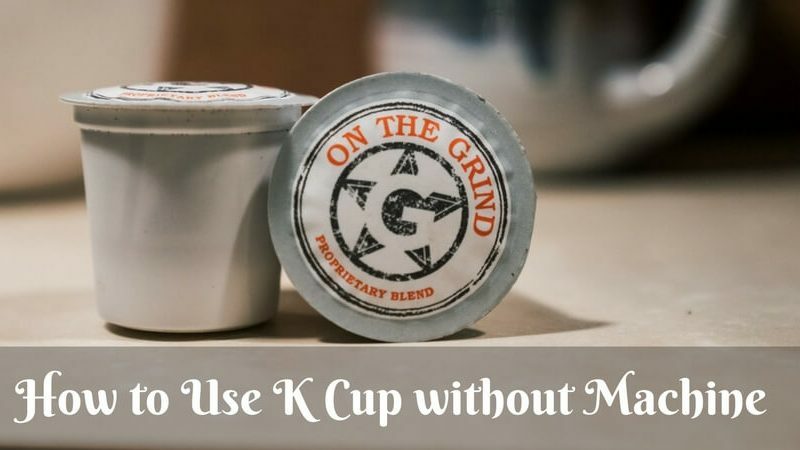 Mix milk/creamer and another additive to enjoy a k cups without a machine. Let us know if you have your secret trick to make a K cup without using any machine. 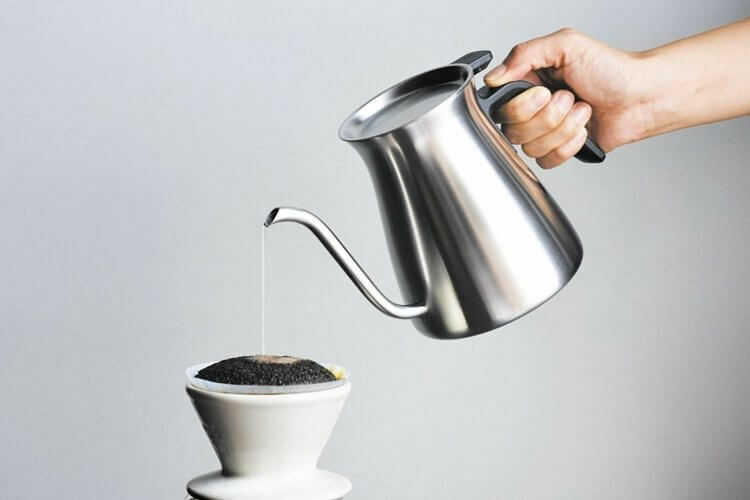 We love to hear about the new methods to make a great cup of coffee.